Dr. Gary Gilley of Southern View Chapel reviews Rob Bell’s latest stab at discrediting God’s Word, What is the Bible? How an Ancient Library of Poems, Letters, and Stories Can Transform the Way You Think and Feel About Everything. In this book “beloved author” Rob Bell claims that Jesus didn’t have to die, denies God’s wrath, says he believes all people are saints….and there are far worse unbiblical musings from the former pastor. Berean Research wrote in a post about his 2016 book How to Be Here, “We are in for another round of worldly, self-focused fulfillment. Not in Christ, but in, you know, you.” Here we go again. It is astonishing that books by Rob Bell, who is clearly a New Ager (here), are sold by online Christian book sellers such as christianbook.com and Cokesbury; likewise, brick and mortar “Christian” book stores. 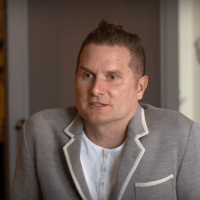 In What Is the Bible?, Rob Bell does for the Bible what he did for Hell in Love Wins – completely distorts it to the point that it loses all meaning and purpose. Using his now familiar style of asking more questions than providing solutions, Bell creatively and effectively leads his readership to consider his views on Scripture as being superior to more orthodox ones. In the process he guts the Bible of its true value. Bell promises to teach his eager audience how to read the Bible in a whole new way (p. 4, cf p. 219). What he does, in fact, is merely repackage in modern form the same old ideas stemming from the early days of Higher Criticism. In the 18th century leading churchman such as Friedrich Schleiermacher (1768-1834) and Walter Rauschenbusch (1861-1918) successfully floated that the Bible was a human book, written by men to promote their particular agendas, and views, about everything from life to God. This new way of reading the Bible led to theological liberalism. Later Rudolf Bultmann (1884-1976) made demythologizing the Scriptures popular. The idea was that most of the Bible was comprised of inaccurate myths and stories told from a human perspective. Yet, while these stories were untrue, there were lessons and principles that could be gained from the fabrications. The task of the Bible reader is to find the meaning behind the myths. Combining the higher critics with Bultmann, Bell has reintroduced an old way of reading the Bible to a new generation without any reference to the past and the devastation it caused.